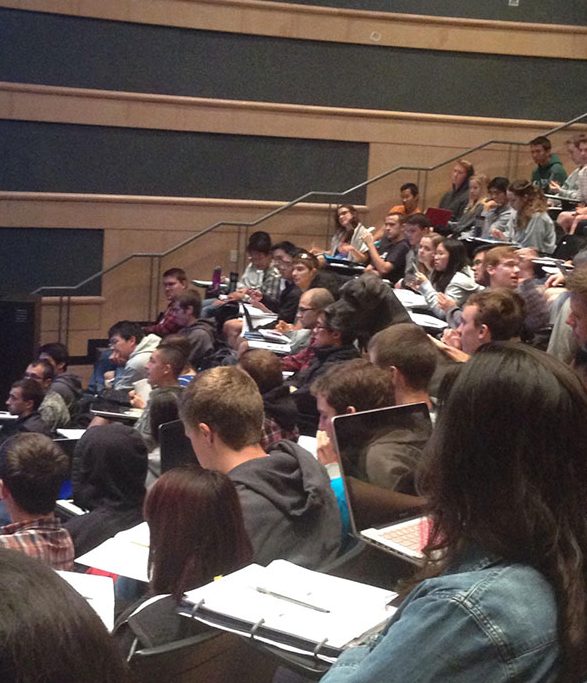 Students seem to be engaged, without cell phones, and reviewing notes and/or taking notes during this class. At the top of the picture over to the right there is a blond haired girl with a red laptop computer in front of her. Also at the front of the picture over to the right there is a large lever arch folder in front of a girl. These two things seem to act as a focus point for the eyes and half ways between the two there is a dog. whats special is the dog!